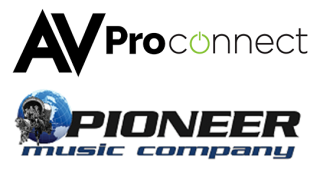 AVProConnect of AVPro Global Holdings has partnered with Pioneer Music Company, which will act as a full distributor of the AVProConnect line of connectivity solutions. Established in 1869, Pioneer Music Company is a family-owned business spanning six generations. The company provides products and solutions to many different industries ranging from residential AV to automation, network distribution, surveillance, and installation accessories. AVProConnect products are used in retail signal distribution, hospitality, digital signage, residential AV, and commercial AV installations for switching, splitting, connecting and controlling HDMI. AVProConnect specializes in high-bandwidth, 18Gbps video distribution with multiple products built to handle HDR, wide color gamut, 16-bit (per pixel) deep color, and 4K@60 4:4:4 support, and advanced EDID management. The full product line includes an array of extenders, distribution amplifiers, matrix switches, multiviewers, control software, audio equipment, and a testing/troubleshooting kit. With distribution centers in Nebraska, Missouri, and Kansas, Pioneer Music Company serves more than 2000 dealers across the Midwest.